Pioneers in the industry, we offer sand bed pressure filters from India. 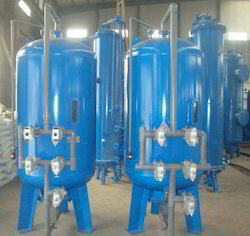 We are considered in the market to be one of the best makers of Sand Bed Pressure Filters. In order to live up to this reputation, we use quality raw materials and advanced machinery. Widely known for their use in filtering the water of its impurities, they are praised for their efficiency and effectiveness. Offered to the clients at a very reasonable price, this product with its unmatched quality is highly preferred in the market. Looking for Sand Bed Pressure Filters ?